Dave began his journey with the natural world exploring the streams, hillsides, and forests of the Susquehanna River Valley of New York. As a teen, Dave was introduced to the world of wilderness living skills and found his first answers to a question he’d been asking for years: “How did people live on earth before the modern age… and how can I do that?” Dave has a B.S. in Environmental Biology from the College of Environmental Science and Forestry in Syracuse, NY where he focused much of his attention on Mycology (the study of fungi). Dave has worked with children in outdoor education for the past 8 years and believes that developing a relationship with the natural world is a fundamental component of a healthy life and community. When not at NBNC, Dave teaches classes and leads trips through his business, Ondatra Adventures, that is devoted to creating meaningful relationships with the natural world. Dave enjoys foraging for mushrooms and other foods and medicines, sleeping in leaf piles, creating from natural materials, backpacking, practicing traditional living skills, playing music, and running. Melora remembers the first time she realized that children benefit profoundly from time in nature. While in Chelsea, Vermont, she had the privilege of teaching the same group of kids for six years. Chelsea was situated in the landscape so that her group could walk to the woods, to a stream, or to a peaceful cemetery in just five minutes from the classroom door. Whenever her kids were getting tense or angry with each other, the group could grab their jackets and head outside. After a few moments in the forest, the negative feelings would reliably dissipate. At NBNC, Melora sees that young children are very quickly immersed in their activity in the landscape without much need for adult direction. She enjoys sharing this space with them, following and supporting whatever sparks their interest. Emily began her exploration of Nature within the inspiration of a chrysalis, once released from her cocoon her flight path eventually led her to NBNC in early 2008 as membership coordinator – but soon her job developed into aspects of management and administrative needs – program registration, billing, outreach, and volunteer coordination. Meeting and corresponding with all the families that gift NBNC with their life and enthusiasm, is a well-loved part of her job. Emily holds a BA in Environmental Studies & Photography, and an MFA in Visual Art, and is a licensed nurse assistant with CVHH&H. 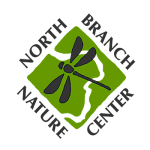 Before arriving at NBNC she worked for 10 years at Forest Watch and the Vermont Community College. Emily loves to hike, explore forests, swim, kayak and camp, give back with service work when she is able and is passionate about protecting and creating respect and awareness of our natural world for future generations to come. Emily lives in Worcester with her family and loves being able to bike to work much of the year! Contact Emily.